Whether you’re visiting Orange County, NC as a first-timer, coming home or just passing through, we’re excited to have you this Thanksgiving! The holiday weekend doesn’t mean there’s a shortage of things to do in this lively town, either. Take a look at some of the best places to dine, stretch your legs and shop till you drop this turkey day weekend. If you’re looking for somewhere to grab a bite before or after your turkey dinner, there are plenty of delicious menus to choose from. 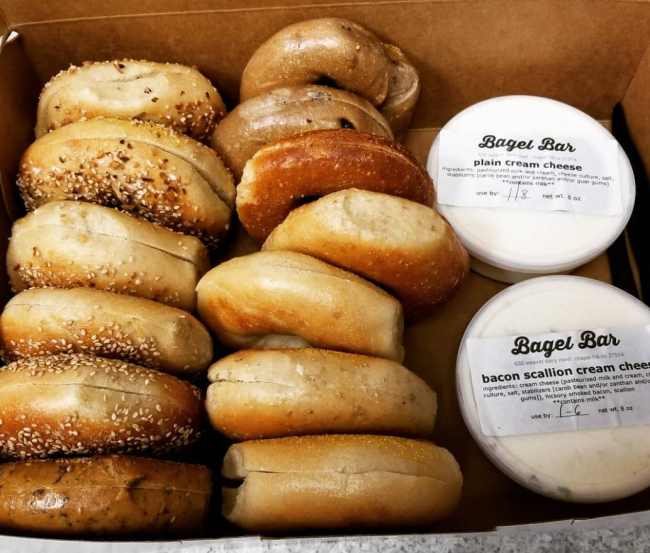 Serving breakfast sandwiches all day, this shop has the best bagels in Chapel Hill! If you’re not in the mood for morning food, try some of their lunch sandwiches or open-faced bagels, too. Talk about some good Chapel Hill barbecue! The Pig features whole-hog barbecue, so nothing goes to waste. If you don’t have time to sit down and enjoy a meal, make sure to stop by to purchase some of their house-made hotdogs or bologna. Don’t worry, they’ve got vegetarian options too! Switch up your holiday weekend menu with some Tex Mex at Armadillo Grill in Carrboro. 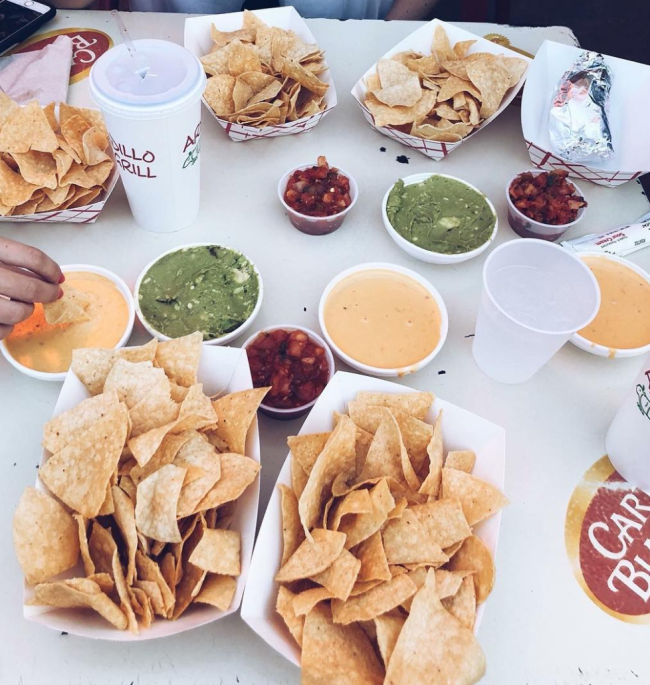 Their tortillas are made to order and salsa is made fresh daily. 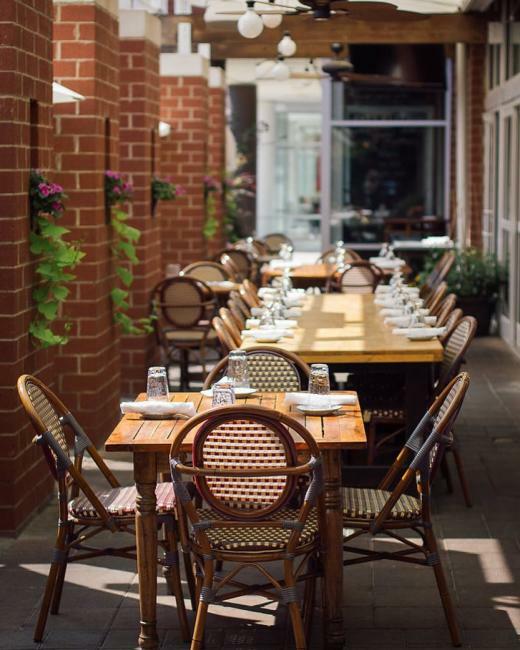 You’re guaranteed to get the freshest local ingredients when you dine at Panciuto in Hillsborough. Their menus are planned weekly but can change night-to-night based on produce availability. There’s no better way to guarantee a fresh and delicious dinner! If your Thanksgiving dinner isn’t coming together as planned or if the cleanup seems a bit overwhelming this year, come join our Orange County family at City Kitchen in Chapel Hill for a Thanksgiving feast, buffet style! Reserve your seat today for amazing Thanksgiving classics and some City Kitchen originals. There’s no need to spend the whole holiday weekend cooped up, as Orange County is still buzzing with things to do! Fill up your long weekend with some of these local events. Think rom-com but LIVE! This holiday musical is the perfect opportunity to sit back, relax and get in some good laughs during your holiday break. Come down to the PlayMakers Repertory Company in Chapel Hill and appreciate the performing arts. It was never really appropriate to laugh at your teachers until now! Enjoy fantastic improv and stand-up comedy at the first Peoples Improv Theater (PIT). The ArtsCenter is always a must-visit when in Orange County, but the Saturday after Thanksgiving is especially spectacular! Speaker, magician and former actor, Joshua Lozoff (think Cheers, Clueless and TNMT), will share some spectacular illusions and magic. This event has sold out the past two years, so buy your tickets before they’re gone! UNC-Chapel Hill is famous for many things, and the athletic programs are definitely on the list. This rivalry game is perfect for anyone looking for the whole Chapel Hill experience. Click here to find some great tailgating tips, pre-game traditions and all things UNC Football. Bring some peace and togetherness to your Thanksgiving weekend by visiting Ackland Art Museum for their Family and Friends Sunday. This is a free event and will be running from 2 to 5 p.m.
Take a break from the couch to trot off your turkey at some of these scenic natural areas tucked away in Chapel Hill and Orange County. This Hillsborough treasure is the perfect place to stretch your legs and take a tranquil walk through nature. 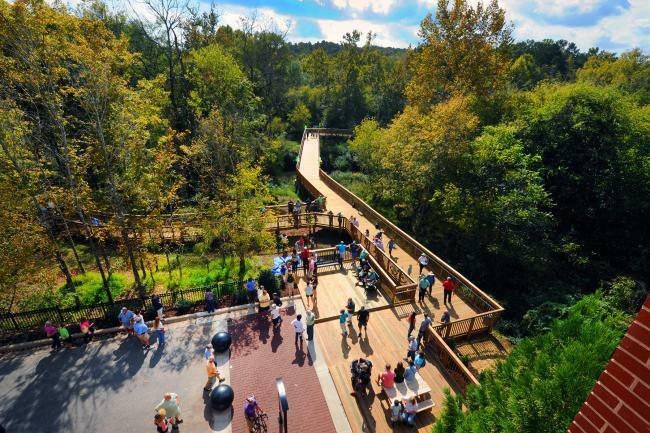 Let the sounds of the Eno River guide you along this paved path that stretches through 1.8 miles of Hillsborough. Take some time to stop and smell the flowers – literally! As one of the largest botanical gardens in the southeast, the North Carolina Botanical Garden is home to different trails, herb gardens, carnivorous plants and more. It’s time to explore! This is easily the busiest street in Orange County! It sits right along UNC’s campus and has a wide variety of restaurants, bars, shops, museums and more. 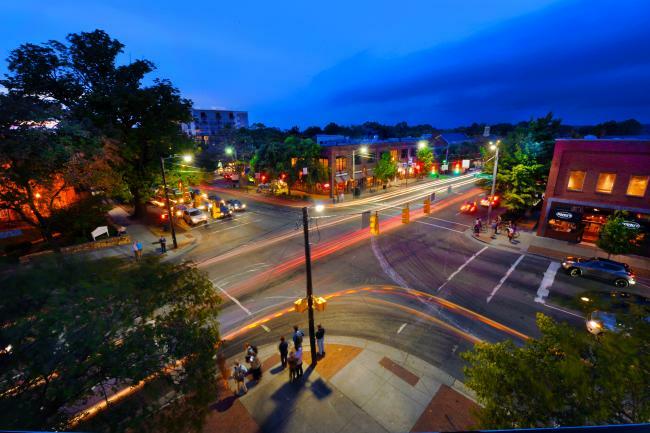 Franklin Street is one of the best places to stretch your legs after a long car ride and take in an iconic part of Chapel Hill history. Immerse yourself in nature at this new farm that sits on 150-year-old property. There are activities for children and adults, or you can enjoy roaming the open pastures and paths that wrap around the land. With animals, gardens and fresh produce for sale, there is no shortage of things to do at this farm. 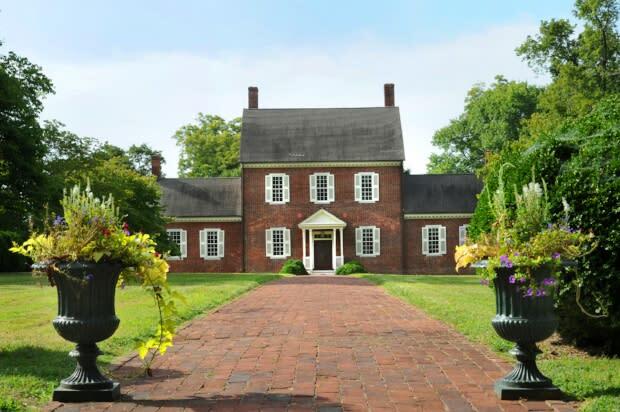 Listed on the National Register of Historic Places, this plantation house is filled with stunning décor and historical charm. Explore 60-acres of gardens, woodlands and pastures or hop on the first trail, known as Poet’s Walk, for a one-mile loops around the house. Have some time to kill? Do double duty and finish up holiday shopping while you’re in town! Spend your time enjoying the local shops that Orange County has to offer and be sure to bring home something that reminds you of this special trip. . The historic Carr Mill Mall is one of the most unique places to shop in Orange County. 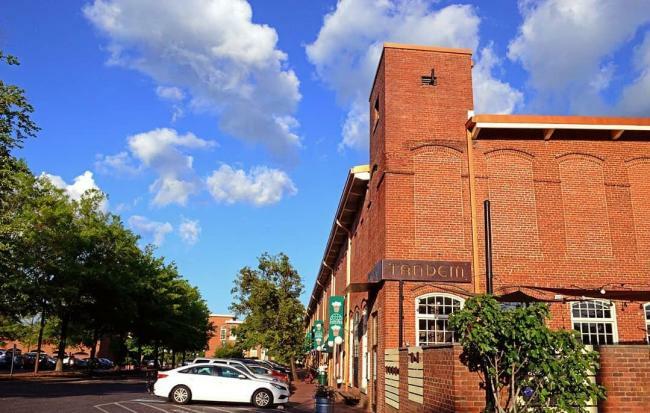 Located in an old cotton mill in Carrboro and listed on the National Register of Historic Places, it has everything from yoga classes to cute boutiques and delectable food. 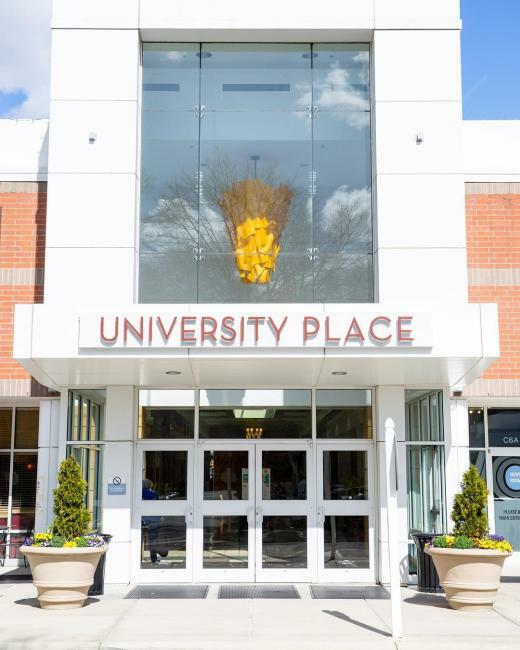 Located in Chapel Hill, this premier shopping mall has something for the whole family! There are retailers, a cinema and excellent dining options that could fill up your whole day.